Dallas winter weather is unpredictable. You can wake up to sunshine and a balmy 70 degrees one day, and then have the next morning greet you with 30-degree temperatures and freezing wind and rain. With the fickle weather, you may want to crank up the AC one day and turn on the fireplace the next. 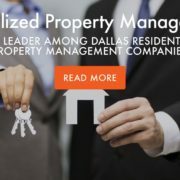 At Specialized Property Management Dallas, we are the leader among Dallas residential property management companies. We want to remind tenants and landlords about the proper usage of fireplaces during these colder winter months and how to avoid potential house fires and damage to your rental home. Most people like to cozy up with a blanket while the fireplace is going, so be sure your tenants know that anything flammable should be kept at least 3 feet away from fireplaces and wood stoves to prevent fire and injury. Be sure to visit each of your Dallas rental properties and ensure that all the smoke alarms and carbon monoxide detectors are in working order, especially before new tenants move into your rental home. Communicate regularly with your tenants about checking smoke alarm batteries, enforcing this in the colder months when the fireplace and heater are going more often. You can send an email as a friendly reminder, or even leave a package of smoke alarm batteries for them when they move in as part of their welcome gift. Just like you should always conduct quarterly inspections in rental property management Dallas, TX, it’s a good idea to have your fireplace inspected by a professional, too! “It’s always a good idea to have your fireplace cleaned to remove creosote, which could ignite and start a dangerous chimney fire,” says Fire Marshal Smith. The Chimney Safety Institute of America recommends hiring a CSIA Certified Chimney Sweep to protect you and your rental property from carbon monoxide intrusion and chimney fires. You don’t want an unlicensed worker trying to clean out your chimney because that causes legal and safety problems for everyone. Not only can these types of chimney inspections ensure your fireplace and chimney system is working correctly, but they can also catch issues before they get more expensive to fix. Purchase a tempered glass or metal screen for your fireplace if you don’t have one already. This will keep any sparks inside. Don’t use odds-and-ends kindling like papers, trash or liquid fuel in your fireplace. Make sure to only burn wood in fireplaces or wood pellets in wood stoves. Pets and kids can burn their skin on the flames, so enforce a strict rule about how close they can get to the fireplace. Completely extinguish a fire before leaving the room. Store fireplace ashes inside a metal can with a lid. Store the can outside, away from the home, until the ashes are completely cold. Store matches and lighters out of children’s sight and reach. Have a fire extinguisher located on the property, and make sure that tenants know where it is located and how to use it. Install safety features near the wall switch of gas fireplaces so that children cannot accidentally turn it on. 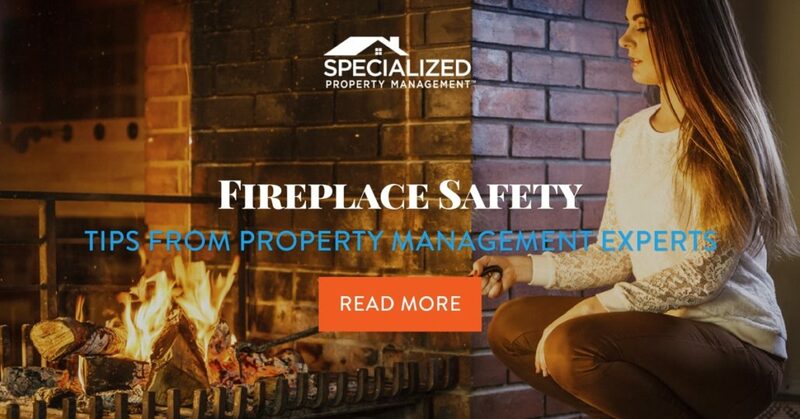 Your Specialized team will help educate your tenants on fire safety procedures, fire safety equipment, and notification procedures when there is a fire safety concern at the property. Call us today to put us to work for you!